Island IT Pros LLC is committed to protecting the privacy of visitors to islandit.pro, and to keeping personal information that visitors provide us private. We have established procedures and policies to ensure that the privacy of each visitor to islandit.pro is protected. The following is a description of the information that we collect, how we will use the information and how we protect visitor information we collect. We request that you read the following description of our Privacy Policies and if you have any questions or comments, please contact us at support@islandit.pro. We will collect and maintain certain basic personally identifying information (“Personal Information”) about you when you contact us by e-mail and give us your personal information. Personal Information we collect will include such items as your name and e-mail address. We will use this information to respond to your requests for information. In addition, we may use Personal Information to send you information and news about additions to IslandIt.pro and we may from time to time request additional Personal Information that we will use to better tailor our content to your needs. When we collect Personal Information from you, we will ask whether or not you want to be contacted by us. In addition to Personal Information, our Web servers will collect and store general information about you that cannot be used to personally identify you. Such information includes the name of the domain and the host from which you access the Internet, the IP (Internet Protocol) address of your computer, your Internet browser and operating system, the time you accessed IslandIT.pro and the Web site from which you linked to IslandIT.pro, if any. We will use this information to monitor the use of IslandIT.pro. We will also use this non-personal information to improve and modify IslandIT.pro and we may share this non-personal information with third parties in aggregate form. Island IT Pros LLC will not sell, rent, loan or share your Personal Information with any third parties, unless you have authorized us to do so or we are legally required to do so. Island IT Pros LLC may provide non-personal information, which will not allow you to be identified or contacted, in aggregate form to third parties. 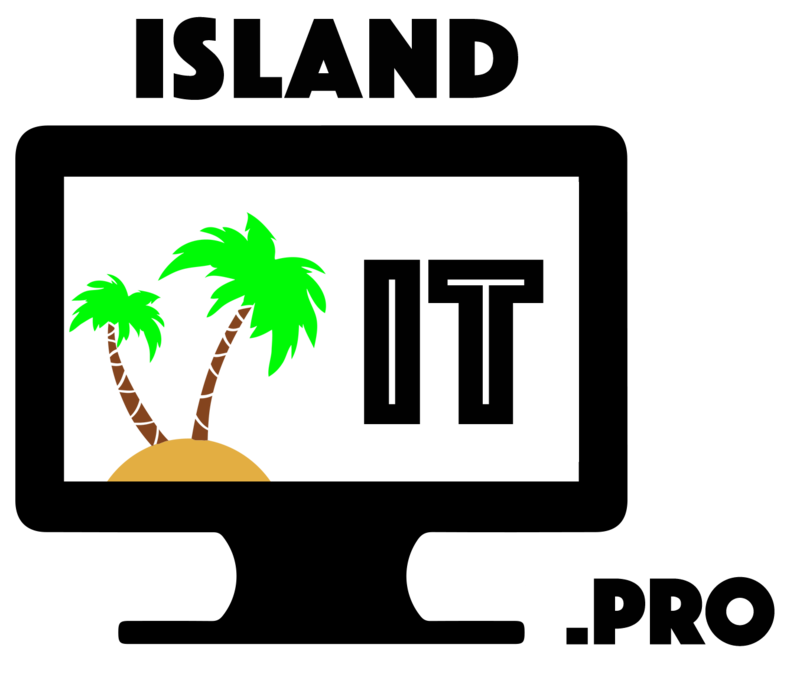 Island IT Pros LLC uses commercially reasonable computer security technology selected and implemented to ensure adherence to the privacy policies described in this online posting. All information contained or collected on IslandIT.pro is protected using encryption programs. Our site may provide links to other Web sites. The privacy policies described here for Island IT Pros LLC do NOT apply to those external links. We encourage you to read the privacy policies of other sites you visit. Be informed. You are the person best qualified to protect your own privacy.